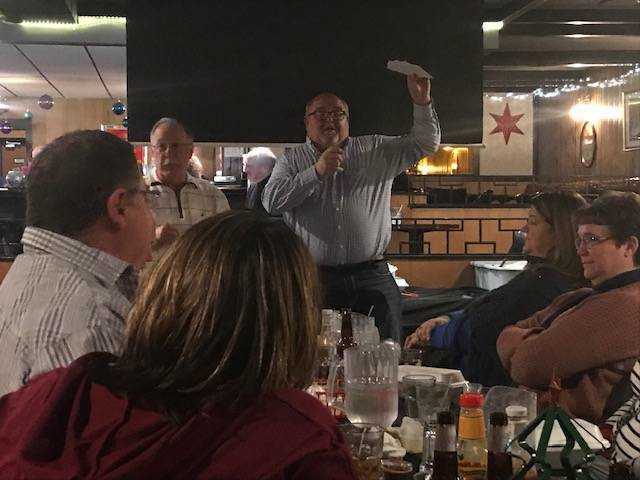 City of Remsen employees were rewarded for their hard work at the Employee Recognition Dinner, which was held at the Golden Pheasant on January 12. Some of the employees took a picture together during the festivities. Pictured above, Front row, from left: Alicia Hoffman, Janeene Klein, Rachel Keffeler, Courtney Loutsch, Jean Haverkamp, and Terry Maass. Back row, from left: Mike Ruden, Chris Poeckes, Kevin Ortmann, Mike Sparr, and Ben Jungers. 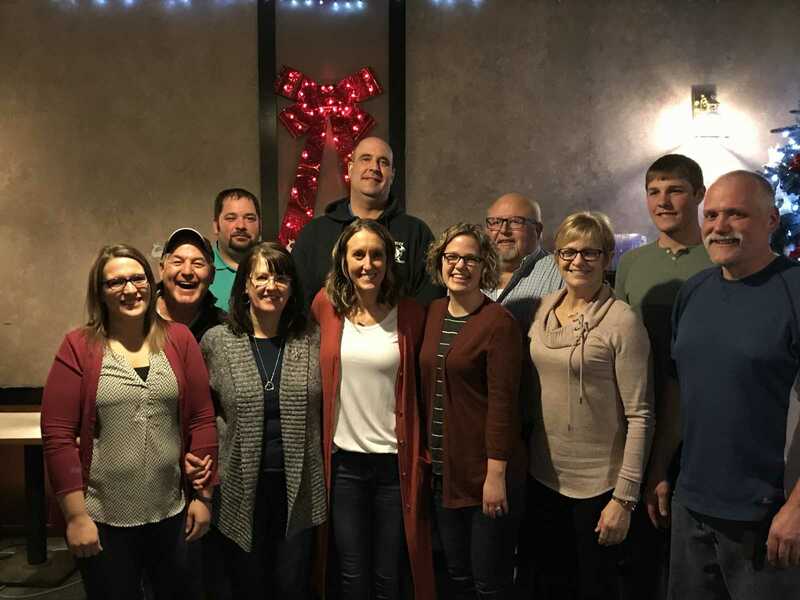 The City of Remsen staff enjoyed their Employee Recognition Dinner on Saturday, January 12, 2019 at the Golden Pheasant. 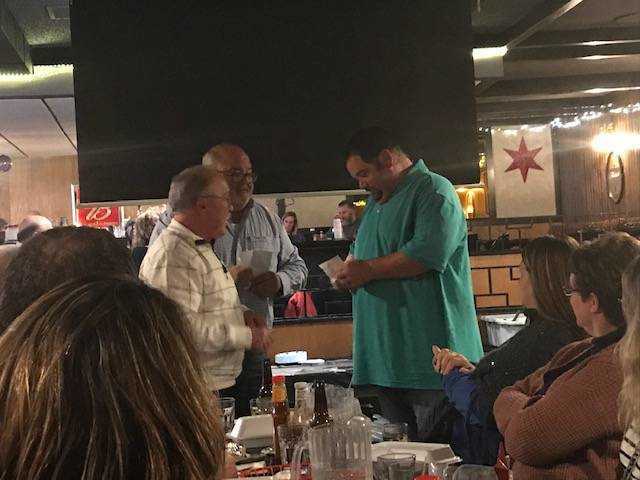 Besides the great food and fun, Mayor Joel Fisch purchased $10 gift cards from local businesses and gifted each employee with one.